Following the 9.0 earthquake and resultant tsunami, supplies have been running low in Japan. Food and gasoline shortages have left grocery store aisles bare and homes without heat. The death toll is sobering, with nearly 7,000 confirmed dead andmore than 10,000 people still missing. Energy issues have become front and center due to the ongoing nuclear power crisis. 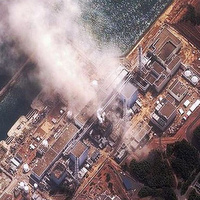 Concerns about radiation from the Fukushima plant have prompted evacuations, mass testing, and distribution of anti-radiation pills. Helicopters and fire trucks have been dumping water over the reactors to cool overheated fuel rods inside the core, but have had little success. President Obama has ordered a safety review of American nuclear reactors, but continues to stand behind nuclear power as an important part of his clean energy standard. Meanwhile, officials across the globe are temporarily haulting their nuclear programs until safety standards can be reevaluated. Though Secretary of State Hillary Clinton and Energy Secretary Steven Chu have both expressed concern about the risks associated nuclear energy sources, Clinton points out that we get "20 percent of our energy right now -- in the United States -- from nuclear power." The federal Department of Energy's loan guarantee program affirmed that nuclear projects will receive finance uninterrupted. EPA estimates the value of the improvements to health alone total $59 billion to $140 billion in 2016. This means that for every dollar spent to reduce pollution from power plants, we get $5 to $13 in health benefits." To meet the new standards, plants would need to purchase and install scrubbers to prevent the emissions -- costing about $10 billion to the industry by 2015 in funds helping create instillation jobs and scrubber production. Jackson says that $10 billion also comes back at more than $100 billion a year in health and environmental improvements. Who is Worried about Climate Change? The numbers are dropping. Hot off Gallup's annual environment poll saying fewer Americans worry about climate change, Democracy Now interviewed the Shock Doctrine: The Rise of Disaster Capitalism author Naomi Klein on her new book about climate change. Klein is investigating how America looks at climate change and how the political environment has shaped our view of science - or the lack of science. We've just ended the hottest decade on record. There's overwhelming evidence that climate change is real now. It's not just about reading the science. It's about people's daily experience. And yet, we've seen this remarkable drop, where, in 2007, 71 -- this is a Harris poll -- 71 percent of Americans believed climate change was real, and two years later, 51 percent of Americans believed it. So a 20 percent drop." The numbers go on to underscore America's falling concern about climate consequences. 43% of Americans thinks the media exaggerates the seriousness of global warming. Conservative Republicans are three times as likely as liberal Democrats to think the media is exaggerating the severity of global warming, while Democrats are roughly twice as likely as Republicans to be concerned about climate change and to think it is already impacting the planet." And this is where Klein's interest falls. It seems that talk around climate change has stepped away from true hard science and become a victim of party lines. It's a political stance, now -- and not a matter of evidence based fact. Gas prices are still at remarkable highs. As a result, efforts to pin the blame on someone are in full force. The GOP is seizing the opportunity to push anti-climate policy and offshore drilling as full service magic wands for pump prices. The Newt Gingrich spawned American Solutions group re-launched its "Drill Here, Drill Now" campaign this week with a video that claims high gas prices are clearly the fault of a slow permitting process for offshore drilling. Tapping into our reserves, the video implies, would solve all our problems immediately. Meanwhile, Democrats are firing back by demanding greater regulation of speculators who bet on petroleum prices. The Democrats haven't been shy about supporting a tap into the Strategic Petroleum Reserve. The dueling messages are likely to continue as gas prices climb, keep your eye on who is winning as it could have a big effect on the presidential election.